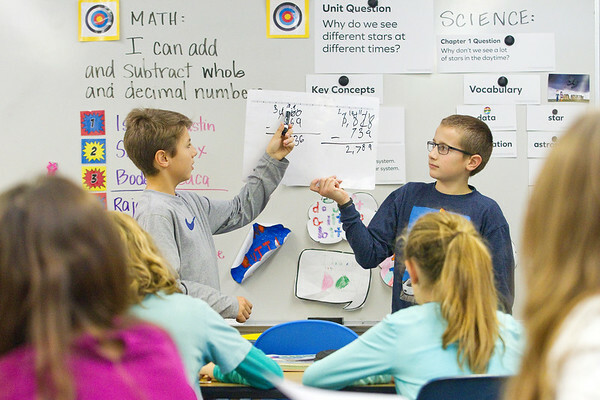 Benji Allen, 10, left, and Mitch Griffith, 10, demonstrate how to solve math problems to their classmates in Sarah Jane Miller's fifth grade class at Glen Lake Elementary School. "I love the fact the students become the teachers," Miller said about their Math Expressions curriculum. "They really have to explain how they are getting their answers.